Today, I’m going to talk about my daughter. In many regards, she’s a pretty typical four year old girl – at least judging by her peers. She likes to play dress-up – in fact, we have a dress-up tub in our basement just for her. Her favorite place on our property is the sandbox, and the part about winter that she hates is that she really can’t play in that sandbox. She loves to sing and dance, and we can rarely drive more than two minutes without her bursting into song in the back seat. Her favorite toys are building blocks, from which she can build giant towers and crazy sculptures. She seems to believe that a day isn’t complete without an art project, preferably one that involves paper and glue and markers and pens and clay. Of our three children, she’s often the one I have the hardest time relating to. I grew up in a household that held nothing but boys. All I have is brothers, and all of their friends and most of my friends growing up were boys. The only children close to my age that lived near us were boys. I’m used to the “boy” experience and I understand how boys respond to most situations. The behavior of my oldest child and my youngest child – both boys – makes sense to me based on my own experiences. My daughter is a bit of a different story. I find myself often watching how she acts more than the other two simply because she often reacts and does things in ways that I don’t expect. She’s a beautiful enigma to me at many times. 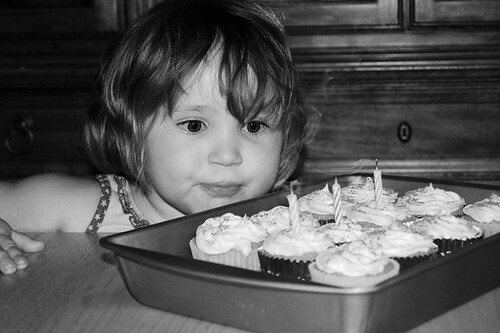 After her fourth birthday, we started giving her an allowance, just like her older brother. They both use Money Savvy Pigs and divide up the small weekly allowance (paid in quarters) among the slots. My oldest son has always taken the “invest” slot in the bank for granted. He puts the minimum amount of quarters into that slot and, although he occasionally asks about it, he actually focuses more on the “save” and “donate” slots. He’s not much of an impulse spender, as he’s already been able to save up for a few very expensive items, and he’s proud to be saving his nickels and dimes for Jump for Joel. My daughter, on the other hand, was immediately curious about that “invest” slot. What will we do with that money? Will we spend it? What does “I-N-V-E-S-T” mean? I told her that the money in that slot was for saving for things when she was much older, like college or a car or something like that. We talked a little bit about how many quarters would be in that slot by the time she was sixteen. Her eyes lit up. I explained that we could take that money to a bank and put it in a savings account, and for every four quarters she left in there for a while, the bank would give her a penny. I mentioned that there were other things you can invest in where you might even earn more than that, but you might also lose some money, too. She was fascinated. She wanted to start “invess-TING” right now. Right now. Before I had a daughter, I didn’t know what to expect. Now I do. This girl is a thoughtful, intelligent, quick-witted, vibrant person who deserves every chance in the world to take it all by storm. She has all the ability in the world and a skill set that is different from but at least equal to that of her siblings. When I hear that there is still a pay discrepancy between genders, I shudder. She’s growing the passion and skills needed to take on practically any job thrown before her, so why should she not receive equal pay? When I see that an opportunity discrepancy still exists (whether in fact or in perception), I shake my head. She’s incredibly capable of taking on impressive challenges, even at her young age. Why shouldn’t she get that opportunity as she reaches adulthood? One of the personal goals that Sarah and I have for our children is to ensure that they can follow any educational path after high school that they wish and they won’t be limited by money or economic opportunity. Part of achieving that goal is to make sure that they have every skill and every piece of knowledge that we can give to them as they grow up. I want every single one of them to swing for the fences, and the biggest thing I hope for is that they’re each judged by and are given opportunities by the level of their skills and the content of their character, not by their gender. How do we do that? We have well-funded 529s for each of them. We spend a lot of time engaging with them on educational endeavors – a trip to the Science Center of Iowa is a family event, for example, and we’re constantly doing writing activities and math activities and science experiments together as a family. In contrast to a lot of what we see around us, we’re encouraging our children to take control of tasks and projects and assert their independence. For example, our six year old can find his clothes, take a shower, get himself dressed, brush his teeth, pack his backpack, and get out to the bus stop in the morning (I’m around to converse with him, but he does this himself). This little girl (and her two siblings) deserves every opportunity in the world, and it’s our job to make sure they have every tool we can give them to grab ahold of those opportunities and run wild with them. Doing that is a financial commitment and a time commitment and an energy and patience commitment, but it’s one that has giant rewards: independently functioning and thinking adults who can make a positive impact in the world. That, to me, is “invess-TING” at its finest.